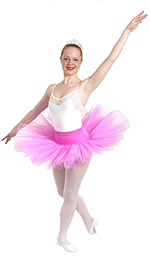 Ballet tutus and tutu skirts for girls designed by Thelma. Pleated net and gathered net tutu skirts. Tutu skirts designed by Thelma. Pleated net and gathered net skirts. Ballet tutus for girls - tutus for dance competitions - bespoke tutus by request. Tutu skirts of pleated net. Ballet tutus for girls - tutus for dance competitions - bespoke tutus by request. Leotards for girls designed by Thelma. Leotards with sleeves for girls. Skirted leotards for girls - popular for dance on roller skates and ice skating. Unishorts for girls - New designs. Jazz pants for girls with elasticated waist band or tie string..
Dance skirts for girls and young ladies in a selection of Lyra fabrics, polycotton and other light fabrics. Lycra sleeveless leotard dance dresses for girls and young ladies. Lycra leotard dance dresses for girls and young ladies.